thank you to our speakers!! The outstanding expertise of the Compass Lexecon team and their dedicated hours in collaboration with the Lawyers’ Committee over many months has been instrumental in advancing our legal challenges to the discriminatory placement and discipline of students of color and low-income. For Shawn's outstanding legal advocacy on behalf of many in vulnerable immigrant communities, Lawyers’ Committee is pleased to celebrate Shawn and the tremendous positive impact he has had in so many lives. David Sanker continues to deliver outstanding pro bono legal services to improve economic opportunities for underserved communities. 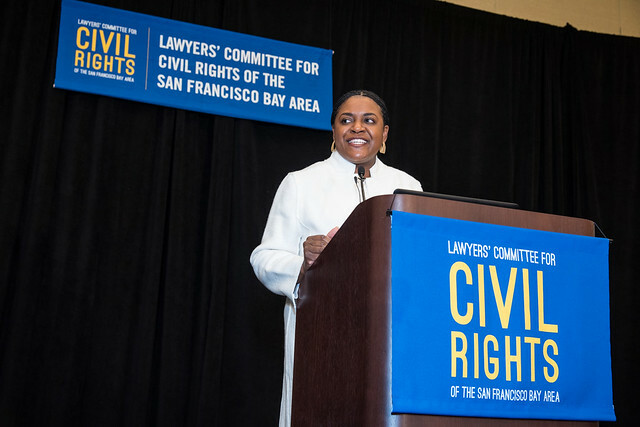 For GLIDE Foundation's outstanding contribution to civil rights law through its partnership with Lawyers' Committee to provide unconditional legal services to ensure access to justice for all. For Coblentz Patch Duffy and Bass' exceptional representation to the poor and under-represented through their involvement in the Second Chance Legal Clinic.